This is a handmade leather sheath for the Benchmade 15001-1 and 15001-2 Saddle Mountain Skinner series knives. This sheath is an alternative and improvement over the kydex or leather sheath that comes stock from benchmade. It is made out of 8-10 ounce latigo cowhide, and features a vertical carry strap, and a snap closure for the grip of the knife. 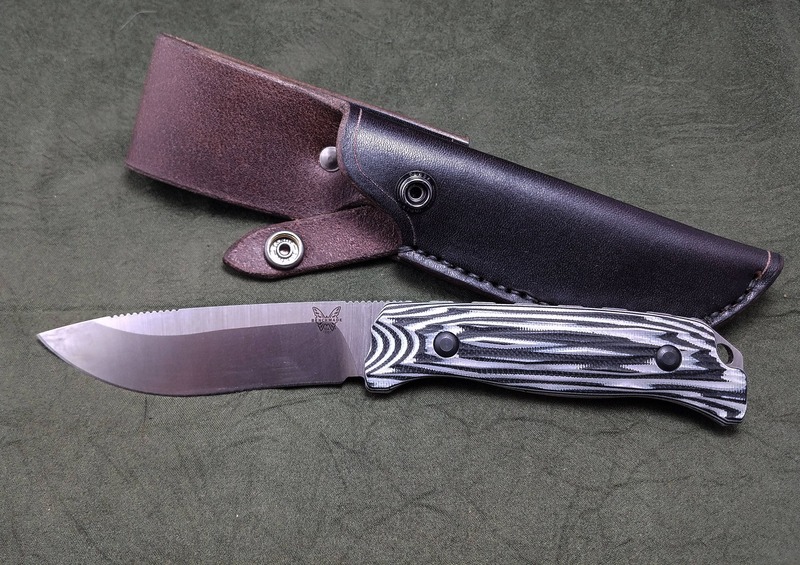 If you have the version of this knife with the guthhook, let me know, and I can adjust the pattern to accommodate the different blade shape. 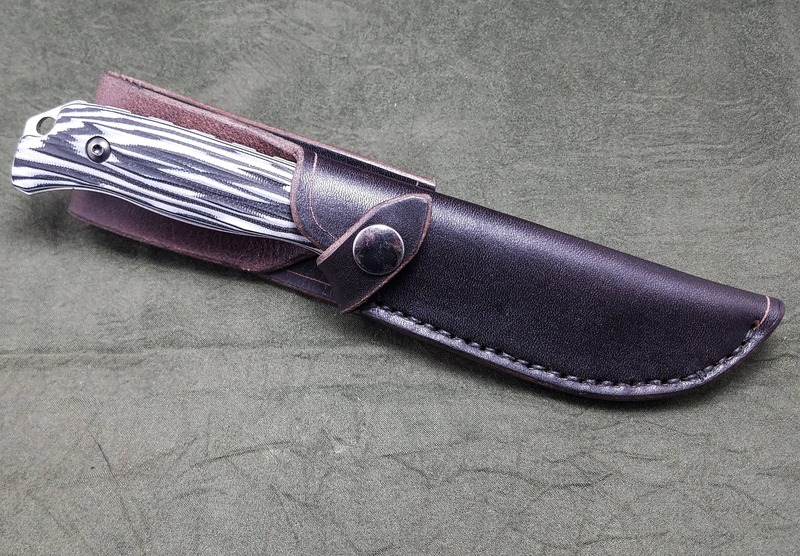 You now have the option to add a firesteel loop to the sheath, and to purchase a separate firesteel to carry with your sheath, or to use your own. 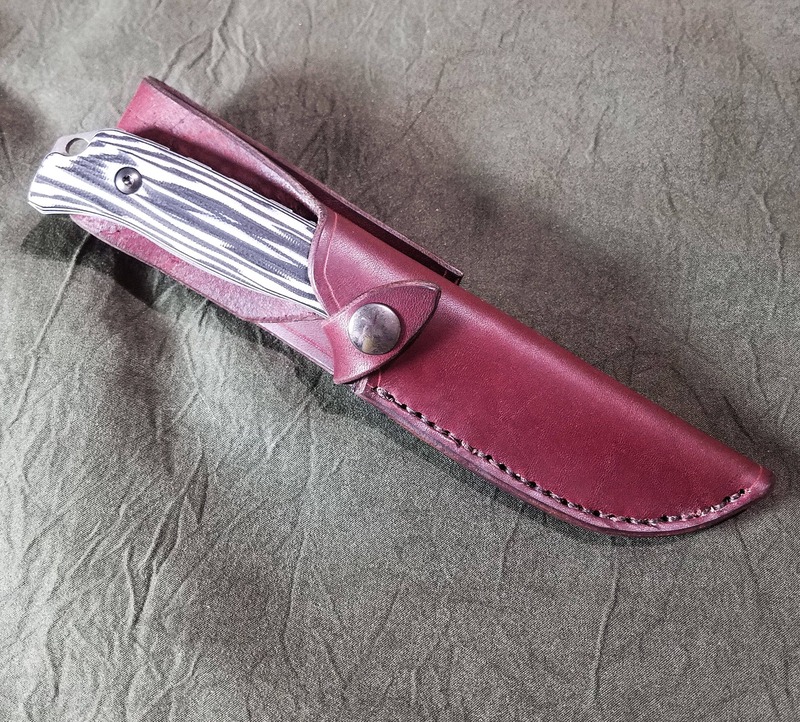 If you're looking for a Kydex sheath for the same knife, or a sheath to carry the knife horizontally, check out my other listing.